I wanted to share something that means a lot to me. My nan was a huge supporter of The Donkey Sanctuary and I am following in her footsteps. My nan often gave monthly donations and purchased calendars and merchandise which she would then give as presents, she sadly passed away in Jan 2012 and I have decided to take this on myself. 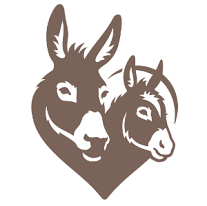 The Donkey Sanctuary is a UK based charity that works throughout the world helping to improve conditions for working donkeys and mules. 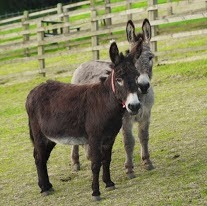 The Donkey Sanctuary works throughout the world helping to improve conditions for working donkeys and mules. Our worldwide projects vary from research into tropical diseases of both national and international importance, to mobile clinics and sanctuaries providing free clinical treatment and advice on management, husbandry and nutrition in donkeys and mules. We are also engaged in investigations of transportation methods of donkeys and mules throughout Europe. There are an estimated 59 million donkeys and mules in the world today and the majority are to be found in developing countries. Incessant droughts resulting in increased cattle mortality have contributed to an increase in donkey usage as draught and pack animals in both rural an durban areas. Donkeys are used for work and in many circumstances are a lifeline to families in their everyday tasks, such as water, and wood fuel collection, land cultivation and transportation of produce to market. You have a big heart giving to the Donkey Sanctuary, it's lovely that you give in the memory of your nan. I give to a local cancer care charity called Tenovus and also the RNLI. what a great chairty Melissa the RNLI, I have donated to them before as well. there are soo many charitys about, there are a few others I donate too, but this one has a very special place in my heart. I am a fundraiser for sands it's a charity to raise stillborn awareness. It's in memory of my two daughters who were both stillborn.